The Riviera Drafting Chair offers a contoured, breathable mesh back and durable armrests for added comfort. The padded mesh seat adjusts in height from 26" to 31". 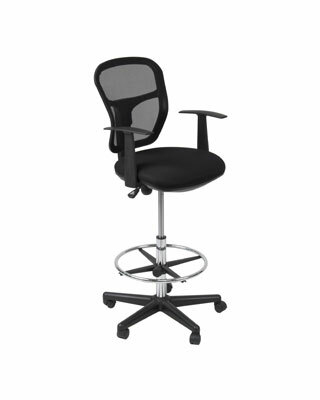 An adjustable chrome footring allows the user to sit comfortably whether the chair is raised for drafting or lowered for use as a task chair. A five star nylon base with casters allows for mobility.